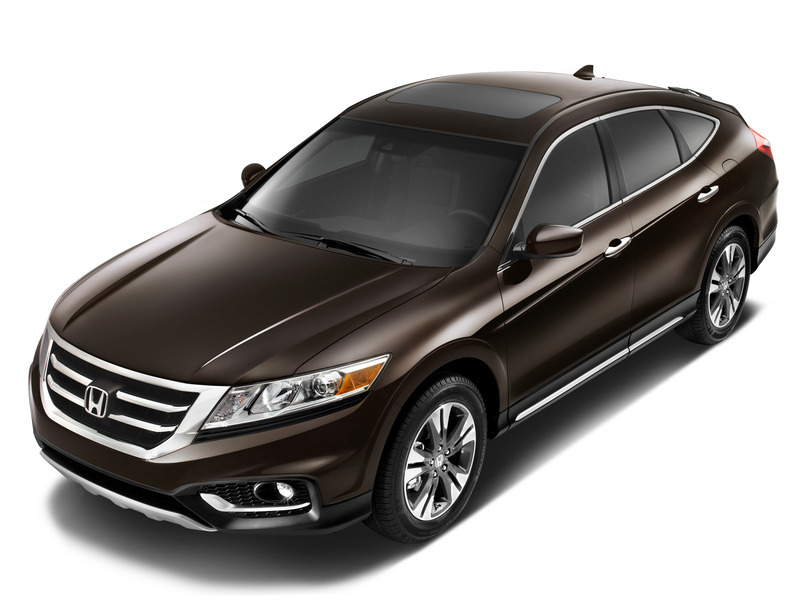 Going on sale today with a Manufacturer's Suggested Retail Price (MSRP) starting at $27,380, the 2014 Honda Crosstour offers a unique combination of crossover practicality, sedan-like drivability and premium features. 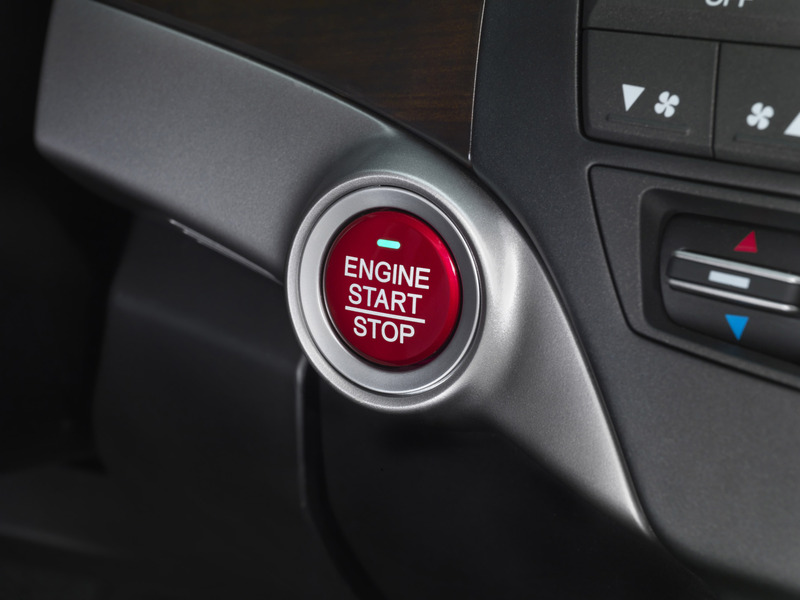 The Crosstour's impressive standard and available features include keyless Smart Entry with Push Button start, driver visibility enhancing technologies such as LaneWatch™ blind-spot display, and a more powerful, fuel-efficient Earth Dreams™ V-6 engine. 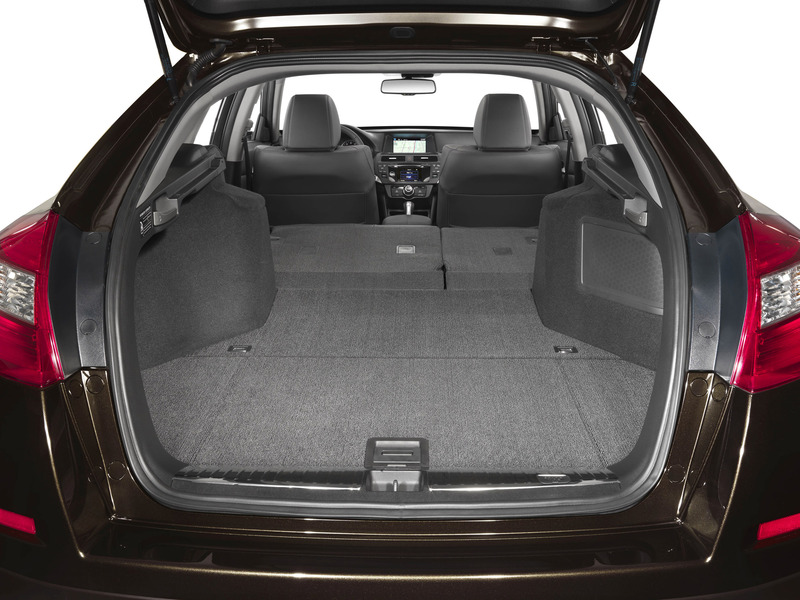 With the exceptional versatility of its four-way configurable, 51.3 cubic feet of cargo area2, hidden removable utility box, and comfortable seating for five, the feature-packed 2014 Honda Crosstour is the smartest option in the premium mid-size crossover segment. The purposeful and ruggedly styled Crosstour is available in two front-wheel-drive trim options (EX, EX-L) powered by either a four-cylinder engine with a class-leading EPA highway rating of 31 mpg3 or a powerful 278 horsepower4 V-6 with Variable Cylinder Management™. The EX-L V-6 model is also available with Real Time™ 4WD. All Crosstour models come equipped with a rearview camera with guidelines, Bluetooth® HandsFreeLink™, USB/iPod® connection, fog lights, one-touch turn signals and an expanded view driver's mirror as standard equipment. Available features include HondaLink™ featuring Aha™ compatibility, Lane Departure Warning (LDW) and Forward Collision Warning (FCW). 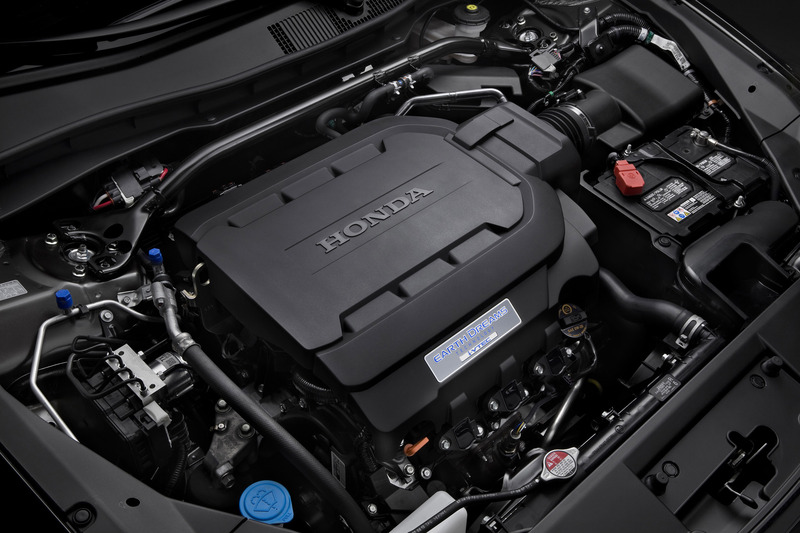 The four-cylinder two-wheel-drive EX and EX-L Crosstour models are powered by a fuel efficient 2.4-liter, 16-valve DOHC i-VTEC® engine. The engine produces 192 horsepower and 162 lb-ft. of torque5. A technologically advanced 5-speed automatic transmission with Grade Logic Control is standard equipment. The Earth Dreams Technology™ 3.5-liter, 24-valve SOHC i-VTEC® V-6 engine is available on the two-wheel-drive EX and EX-L and is standard on the 4-wheel drive EX-L. The engine utilizes Variable Cylinder Management (VCM) to maximize efficiency, allowing the engine to run on three or six cylinders, depending on engine load and speed. Producing 278 horsepower and 252 lb-ft. of torque4, the V-6 engine allows for quick acceleration, passing and grade climbing. 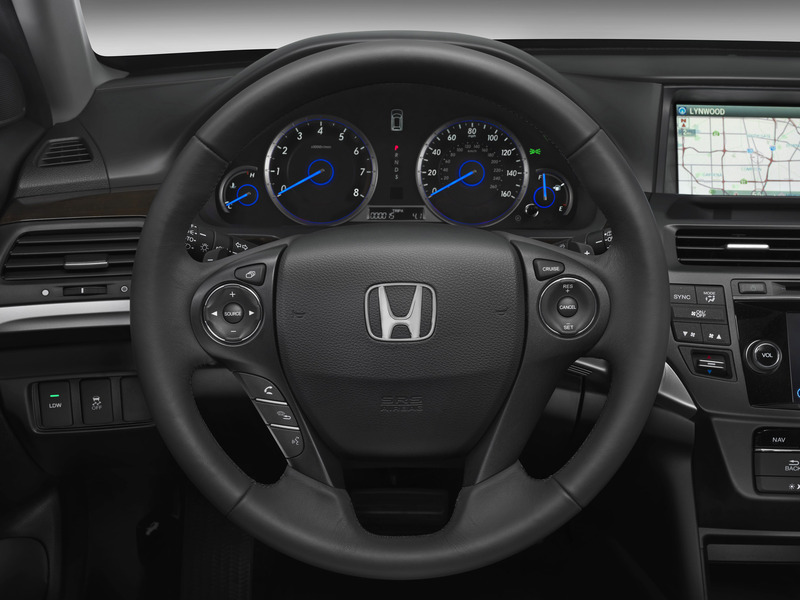 The Crosstour V-6's 6-speed automatic transmission includes steering wheel-mounted paddle shifters. The Crosstour's unique style blends crossover purpose and ruggedness with a sleek and sporty premium look. The distinctive bodywork conceals an accommodating rear cargo area with a large tailgate opening and low lift-in height. Standard exterior features on Crosstour EX include chrome door handles, 17-inch alloy wheels and P225/65R-17 all-season tires. Additional exterior features on the Crosstour EX include auto-on/off projector-beam headlights, a one-touch power moonroof with tilt, body-colored folding power side mirrors with defrost, auto-up/down driver's and front passenger's windows, and rear privacy glass. The top-of-the-line Crosstour EX-L V-6 model adds 18-inch alloy wheels with P225/60R-18 all-season tires. The Crosstour's inspired handling is thanks to its rigid body structure using more than 50-percent high-strength steel, and its four-wheel independent suspension—with a double-wishbone front and independent multi-link rear, front and rear stabilizer bars, and a front strut tower bar for added rigidity. 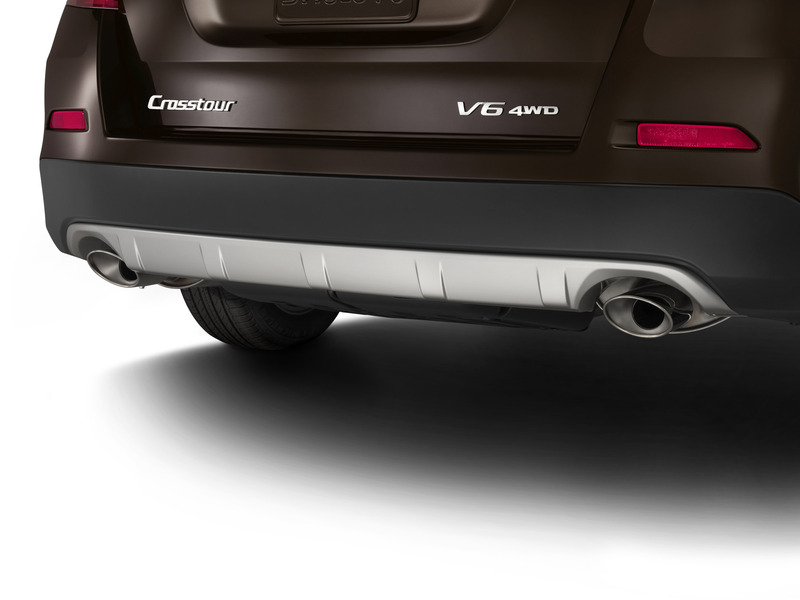 All Crosstour models include power-assisted ventilated front and solid rear disc brakes. 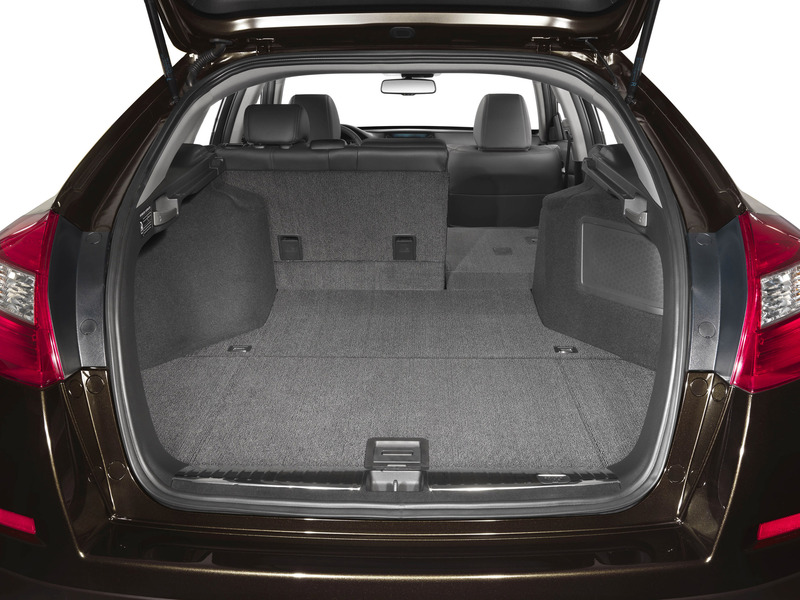 For true utility-vehicle capability, the Crosstour provides 6.2 inches of maximum ground clearance in addition to the available Real Time™ 4WD system. 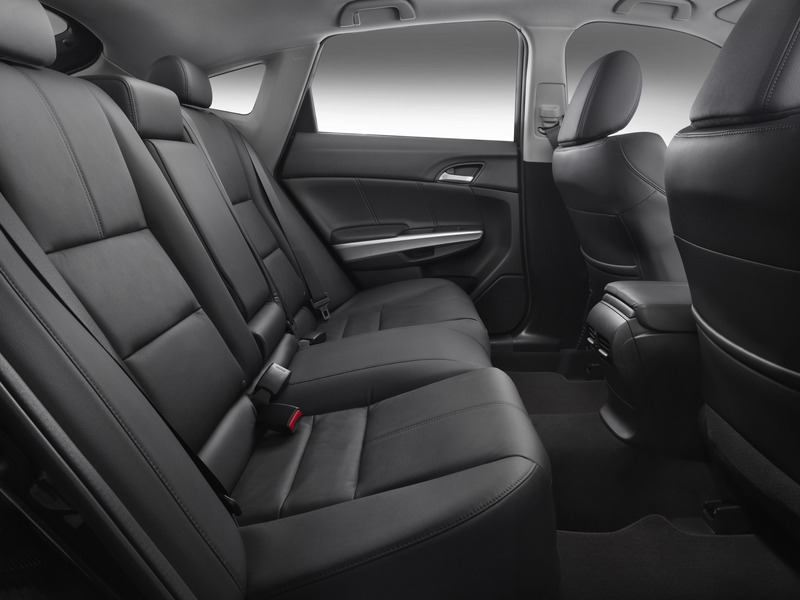 Premium interior styling, appointments and details extend throughout the Crosstour's versatile passenger compartment. Inside the Crosstour EX are automatic air conditioning with an air-filtration system (dual-zone automatic climate control on EX-L V-6 models), a 360-watt AM/FM 6-disc CD audio system with seven speakers, Bluetooth™ HandsFreeLink®, a USB audio interface, steering wheel-mounted cruise, audio and phone controls, an auto day/night dimming rearview mirror, an easy fold-down 60-40 split rear seatback, a hidden removable utility box, reversible floor panels and more. Crosstour EX-L models add leather-trimmed seating surfaces with heated front seats, memory driver's seat and memory side mirrors with reverse tilting capability, dual-zone automatic climate control, leather-wrapped steering wheel and gearshift knob, Kevlar® cone audio speakers, front aluminum dome-type tweeter speakers, HondaLink™ with Aha™ compatibility, Pandora® compatibility, XM® Radio, compass and outside temperature indicator (also included on EX V-6), and more. The EX-L V-6 model also adds a HomeLink™ transmitter. 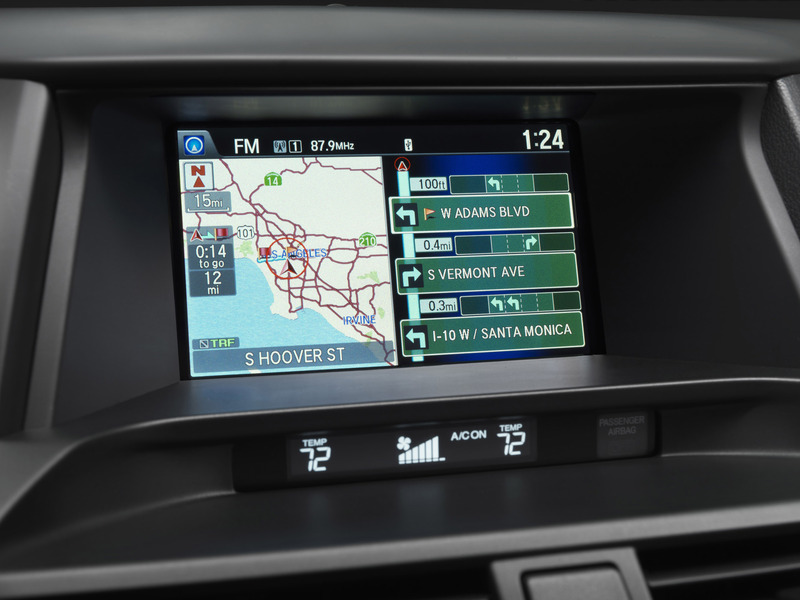 The Honda Satellite-linked Navigation System6 is available on Crosstour EX-L models. All EX-L and above Crosstour models feature an upgraded multi-view rearview camera with guidance lines integrated into the display. 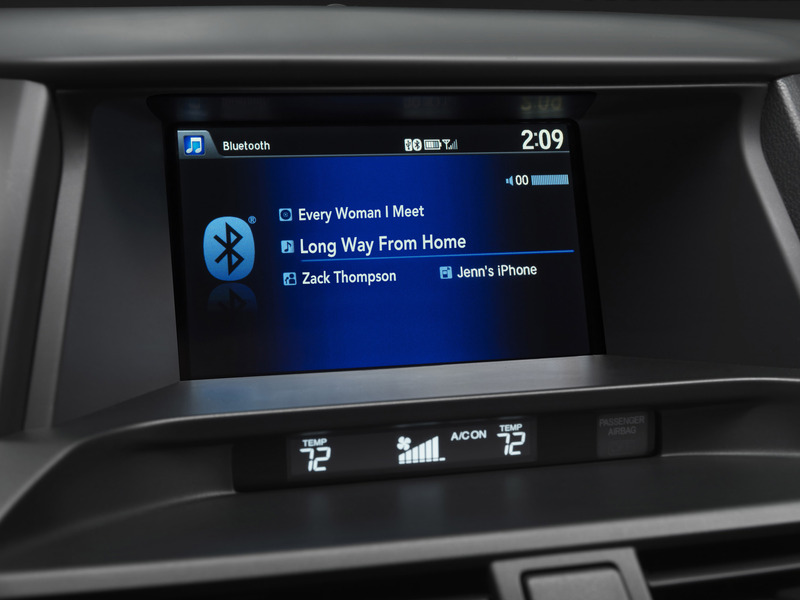 Real Time™ 4WD is available on the Crosstour EX-L V-6. Crosstour safety technology includes the Advanced Compatibility Engineering™ (ACE™) body structure, a Honda-exclusive body design that enhances occupant protection and crash compatibility in frontal collisions. Additional safety equipment on the Crosstour includes Vehicle Stability Assist™ (VSA®), anti-lock brakes with electronic brake distribution and brake assist, side curtain airbags with a rollover sensor, driver's and front passenger's side airbags with passenger-side Occupant Position Detection System (OPDS), dual-stage, multiple-threshold front airbags, and active front seat head restraints. 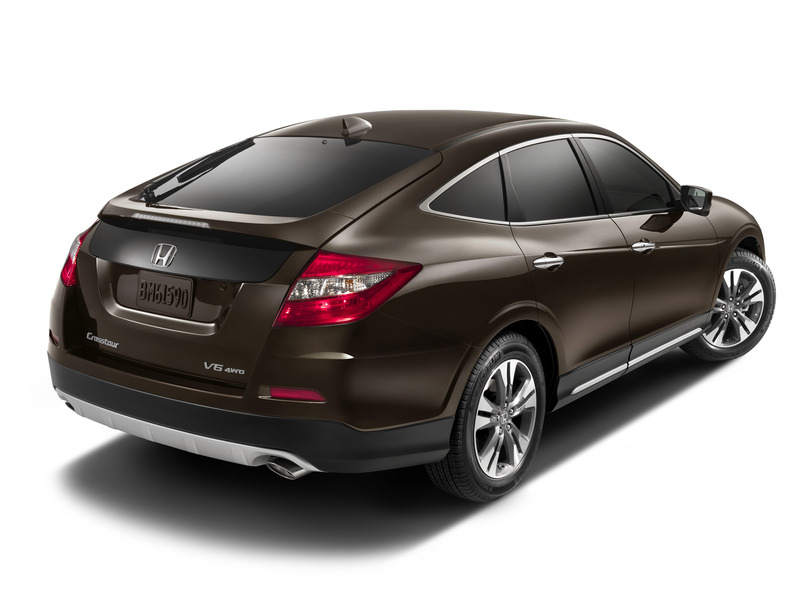 Standard on Crosstour EX-L models are Honda's Forward Collision Warning (FCW) and Lane Departure Warning (LDW) systems. FCW can alert the driver when a potential collision with another vehicle ahead is detected, and LDW can alert the driver when lane drift is detected without a turn signal in use. Technologies and design features that enhance the driver's outward visibility and situational awareness, offered as standard equipment on all 2014 Crosstour models, include reshaped rear headrests, a standard rearview camera, and a new Expanded View Driver's Mirror. All models except for four-cylinder EX also feature the Honda-exclusive LaneWatch™ blind spot camera. 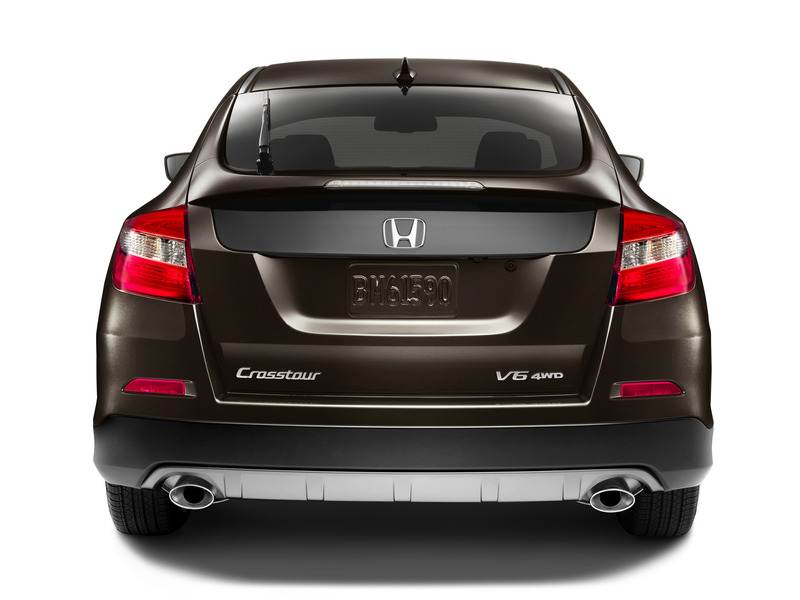 The Crosstour is produced7 at the Honda of America Mfg., Inc., East Liberty Auto Plant in East Liberty, Ohio. 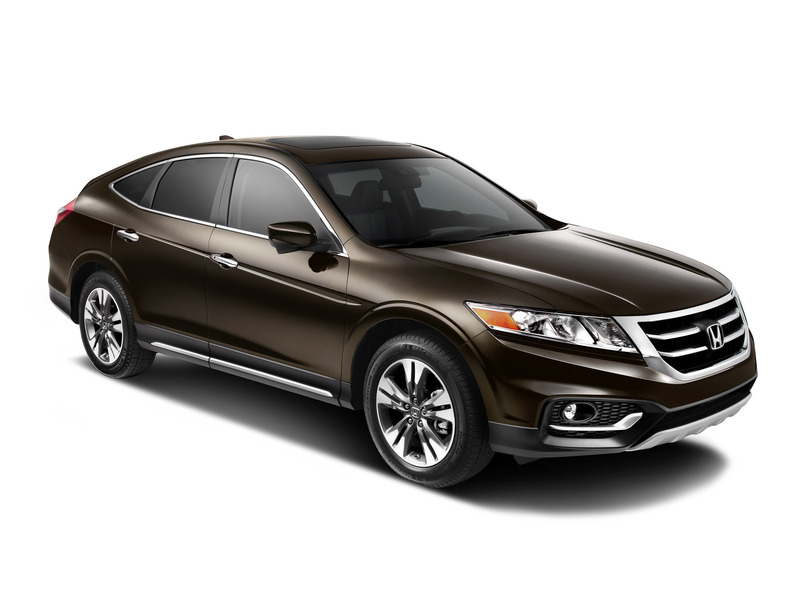 The 2014 Honda Crosstour is covered by a 3-year/36,000-mile new-car limited warranty, a 5-year/60,000-mile powertrain limited warranty, and a 5-year/unlimited-mile corrosion limited warranty.